At the Heritage Resorts Club Playa Real in the tranquil Marbesa Village area of Spain’s southern coast, you can take your vacation however it suits you best. The region offers delicious international cuisine, kilometres of sandy beaches, and many different water sports such as windsurfing and scuba diving. When you buy one of these the Malaga timeshares for sale, you will never lack for on-site entertainment. During the day in the summer months, you can go swimming in the outdoor pool while having a drink at the poolside bar, or enjoy indoor sports activities in the gymnasium year-round. 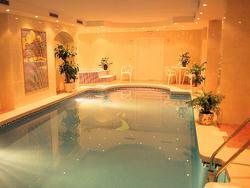 There is also an indoor pool and Jacuzzi in which to relax. During the evening hours, there are weekly entertainment gatherings for Karaoke and Flamenco dancing which are sure to be a hit. The timeshare suites at the Heritage Resorts Club Playa Real feature full kitchens, up to two and a half full bathrooms, and one, two, or three bedrooms. On the smaller scale, the one-bedroom units can accommodate four guests while the two and three bedroom suites sleep six or eight guests respectively. They are family-friendly, for children of all ages, and in-room washers and dryers will simplify packing for long trips. The kitchens come with a dishwasher, oven, stove top burners and a refrigerator. The resort is directly on the beach, so you can walk out onto the sand for a lazy day in the sun whenever you wish, and dine at the seaside cafes and restaurants lining the beaches. 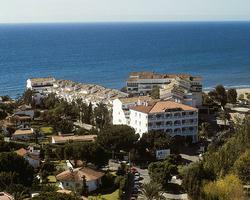 The towns of Marbella and Puerto Banus are just a short drive away, for even more dining, shopping, and sightseeing. So to enjoy your vacations along Spain’s beautiful Costa del Sol coastline, you can have your very own timeshare experience at the Heritage Resorts Club Playa Real. With one of the Malaga timeshares for sale here, you can take in a sunny day at the beach mingled with fun with family and friends, delicious food, and a comfortable environment suited for the whole family. Contact Heritage Resorts Club Playa Real Specialist Today!